Druid of the Cowl: Two drop mana dork that can be replaced by Llanowar Elves or Elvish Mystic. Though Druid of the Cowl has more toughness, playing one of the others turn 1 helps accelerate you better. Experiment One: Cool one drop that gives himself counters and can regenerate, but the downside is that your deck does run a lot of creatures with similar low power/toughness creatures making this hard to get passed more than 3 counters without the aid of using resources on him. Greenwarden of Murasa: I would keep him if you can't get your hands on a Eternal Witness because 3 > 6 mana wise. 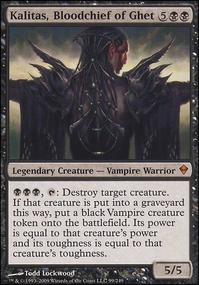 Kabira Vindicator: Level up is a cool mechanic, but having to spend 4 mana to cast him and then another 6 mana to give your creatures +1/+1 is pretty bad. 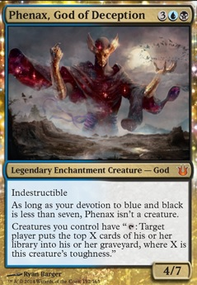 Glorious Anthem would already give them +1/+1 OR you can always get Gideon, Ally of Zendikar use his -4 ability immediately and have the emblem to have an almost permanent buff to your creatures. Knight of Cliffhaven: Same reason as Kabira, 5 mana to have a flying 2/3 is pretty meh. and 14 mana total to have a flying, vigilant 4/4 is the worst. 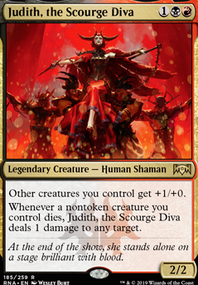 Sunscorch Regent may not have vigilance, but he does have flying, and gets stronger the more spells that cast as well as gaining you life. Master of Pearls: Has to be morphed and flipped to have any real usage. Overwhelming Stampede gives your creatures trample on top of whoever has the highest power on your board. Nekrataal: 4 drop creature version of the 2 drop Terror. 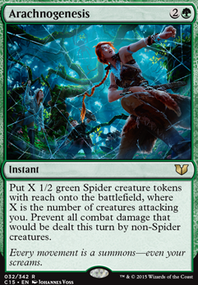 Avatar of Woe may not have the etb, but she can become a 2 drop pretty easy and can destroy a creature for you each turn. Salt Road Patrol: For aggro, this card is too slow and only boost itself. Oath of Ajani: Would replace with Abzan Ascendancy, one extra mana for the same first ability, but the second ability will have more usage since you don't run any planeswalkers in the deck which makes the oath just a dead card on the field. Oran-Rief, the Vastwood: Just an all around decent land that gives counters to all your creatures that entered on the same turn. 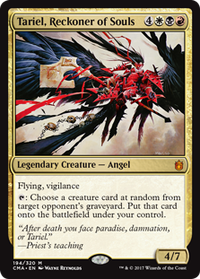 You can consider cards like Damnation, Toxic Deluge, Consume the Meek, Black Sun's Zenith, Bontu's Last Reckoning, Evacuation, Cyclonic Rift as well as a Windfall or Dark Deal to get rid of it from their hands. 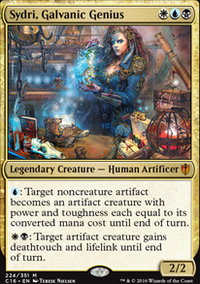 Aether Hub and Tendo Ice Bridge both seem bad in a control deck, as they only make 1 colored mana each, and you can't really afford to have colourless sources in a deck with Cruel Ultimatum, you just won't be able to cast your spells. Blackmail and Duress are just worse Inquisition of Kozilek and Thoughtseizes in general. 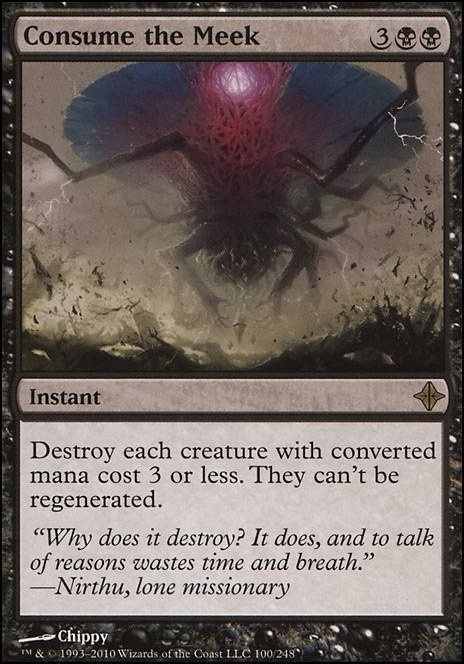 Disallow, Dissolve and Electrickery all seem mediocre in modern, the counters have more efficient/better options like more Mana Leak/Remand/Logic Knot and more Cryptic Commands, and Electrickery is just a bad board wipe, something like Damnation or Languish is likely to be much better. A lot of cards in the sideboard have better alternatives too, like Consume the Meek, Electrickery and Yahenni's Expertise could all become Damnation or Languish which kill the more common creatures in modern, the Duress and Harsh Scrutiny could become Collective Brutality as additional discard which is more flexible, and better in more matchups and Tragic Slip should probably just be more Fatal Pushes. Really like this version of the deck! You've included cards that I thought would be amazing here (maybe there are too much planeswalkers now, however).